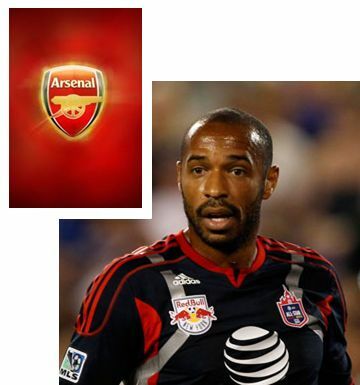 Henry is poised for sensational return to Arsenal - He could even be ready to play in the FA Cup on January 9, predicts Emirates 24/7. Thierry Henry is going full throttle to make a sensational return to Arsenal to stand in for Robin van Persie, according to reports in the British press. The Arsenal legend could be snapped up on a short-term contract at the Emirates while his New York Red Bulls side have their winter break. Gunners boss Arsene Wenger does not believe van Persie can start two games in three days against QPR on Saturday and at Fulham 48 hours later.